Events have always been a large segment of the entertainment industry, offering experiences and escapes for virtually any interest or business application. They have, however, been largely untouched by technology, until recently. One of the main reasons the industry has begun to adopt new technologies is due to the increasing demand for mobile integration. Pew Research found that 64 percent of American adults use smartphones on a regular basis. As a result, the number of opportunities to leverage mobile solutions to create new sources of revenue is on the rise, and the events industry is developing solutions to help capitalize on this trend. Neetu Bhatia, CEO of mobile ticketing company Kyazoonga realized there were technological gaps in the events industry. “Several fundamental shifts are occurring in ticketing. First, from the fans’ and customers’ perspective, the shift to e-tickets and mobile tickets is becoming prevalent. Paper tickets are increasingly a thing of the past unless events offer souvenir tickets to be given out,” Bhatia said. Seeing that there were few good replacements for this outdated approach, Bhatia decided to bring her experience in fintech to the events industry. There are more and more entrepreneurs entering the events space to help improve current offerings and reach new consumers. One of the major ways the events industry is leveraging technology is in online ticketing. While not a new development, the tech used to provide it is rapidly improving. 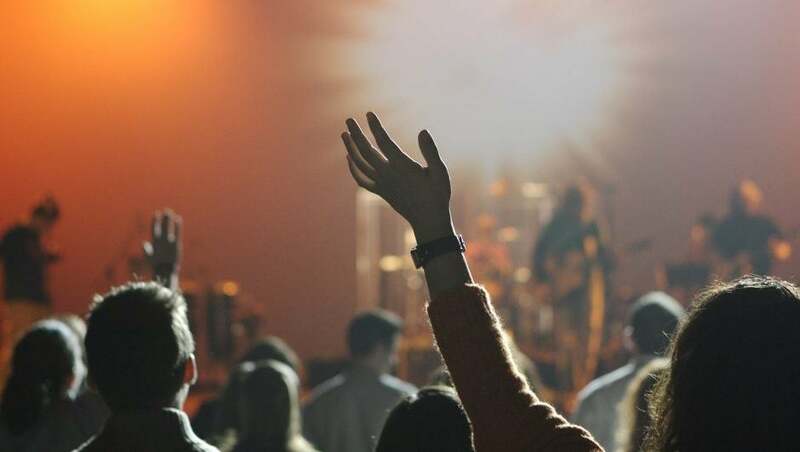 By providing more seamless and interactive experiences, ticketing companies can also extend the ticket buying experience beyond a simple transaction, creating a series of custom recommendations that help connect users with potential interests and purchasing options. The benefit for event providers is better sales tactics and the opportunity to test the effectiveness of various campaigns. While many people thought wearables were a fad that would go away, the growing popularity of products like the Apple Watch and other wearable devices are use cases for where the industry is headed. So how does it apply to events? One big potential area for growth is in active and passive scanning through Near Field Communication, or NFC technology. Recent developments in live streaming technologies like Facebook Live, Snapchat, and Periscope have made it possible to access certain kind of events remotely. While this may not pose a threat to events like concerts or sporting events due to issues with broadcast quality, it may begin to weaken the footing of events like conferences and trade shows, which have previously charged premium pricing for access to their events. While some industry vets might be concerned, this kind of development is helping drive positive change in the industry. Instead of treating access as the main source of value, event organizers are beginning to elevate the importance of in-person experiences to help offset the challenges created by free streaming services. The same goes for VR as recent developments in VR tech are indicating that it will soon be possible to attend events remotely with fully immersive experiences. This opens up new revenue streams for event organizers while giving consumers more affordable access to otherwise expensive events. Consequently, many event planners are also thinking of ways to improve the experience of event attendees so that they don’t lose existing business to cheaper VR options. The biggest obstacle to overcome is cost. 77 percent of event organizers shared that budgets have kept them from adopting new tech solutions in the past. Bhatia says that new technology can reduce the back end cost of events. Companies that can demonstrate the revenue potential of their tech are likely to have more success in securing new business. As the industry rapidly adopts these new technologies, it is important to keep the consumer or event-goer at the center of every decision. Tools that increase engagement will help create return visits and purchases, while those perceived as an annoyance or distraction may detract from the overall experience. Companies that find a balance between the two will help improve event experiences and grow the already burgeoning industry.